Transitions is apparently London’s only beach festival which combines extreme sports with DJs and artists. 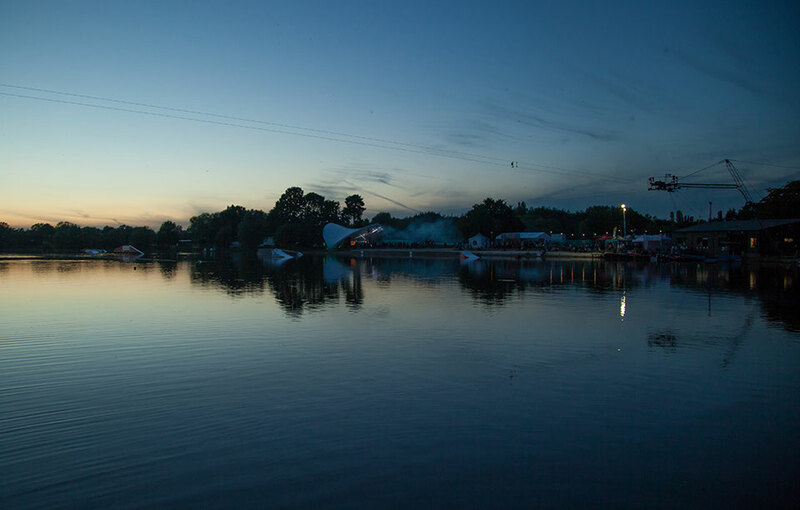 Reachable by one direct train from London Waterloo, the festival gives city dwellers the chance to escape to an island surrounded by lakes, sandy beaches, summer vibes, DJs and live-acts. 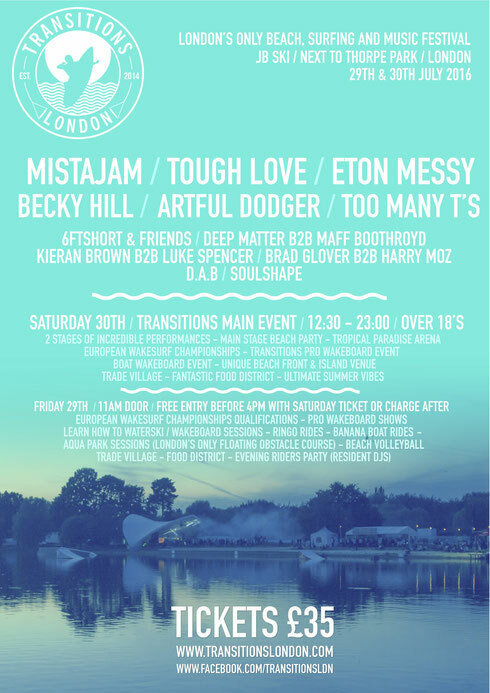 Transitions was born in 2015 when Europe's top wake-boarders had a get together at the beach festival site next to Thorpe Park, along with acts Sigma, Redlight, A Skillz, Ed Solo and Dubmotion. After the apparent success of their first year, Transitions returns even bigger, with key main stage performances, lights shows, fire lit wake board comps and a bigger lineup.